"HOW good is this" were the words of Nathan Bell as early afternoon rain hit the Warwick Golf Club after an hour of the drought relief charity day. The Hawker Rd Function Centre manager said he might just suggest another drought relief day when the next drought hits. "We had 11mm overnight Saturday before the drought day," he said. "The drought relief day attracted 115 players which was the biggest number at a charity golf day for more than two and a half years." Bell said there was excellent support for the day from Warwick Golf Club members and the 18 businesses which sponsored holes. 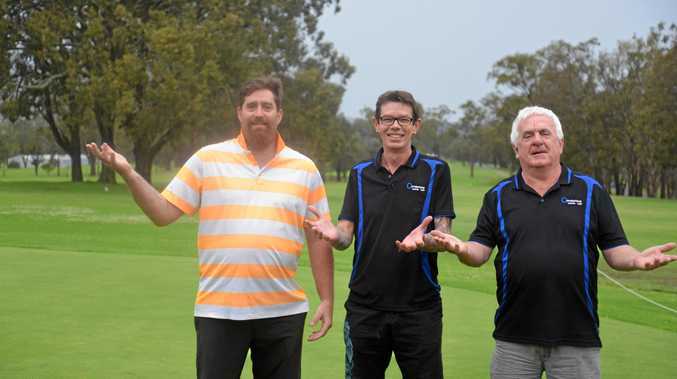 "Many of the club representatives on the Condamine Sports Club board played as well as members from the five clubs which make up the sports club ," he said.